Art & Style Inspired By Clouds!!! Clouds are actually droplets of condensed water that is vaporized and floating way high in the sky in a somewhat magical fashion. 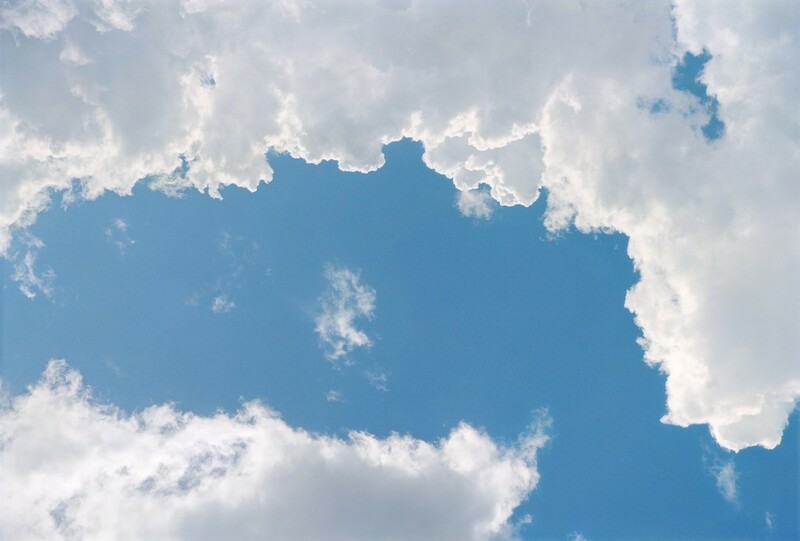 Before the 17th Century, clouds were thought to be mysterious air essences. 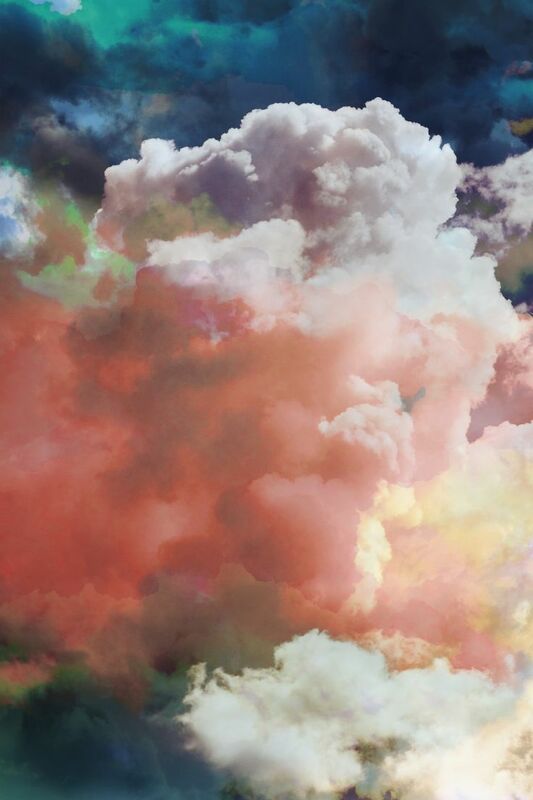 So, today’s round up of art & design is inspired by the personality and mood of the sky! 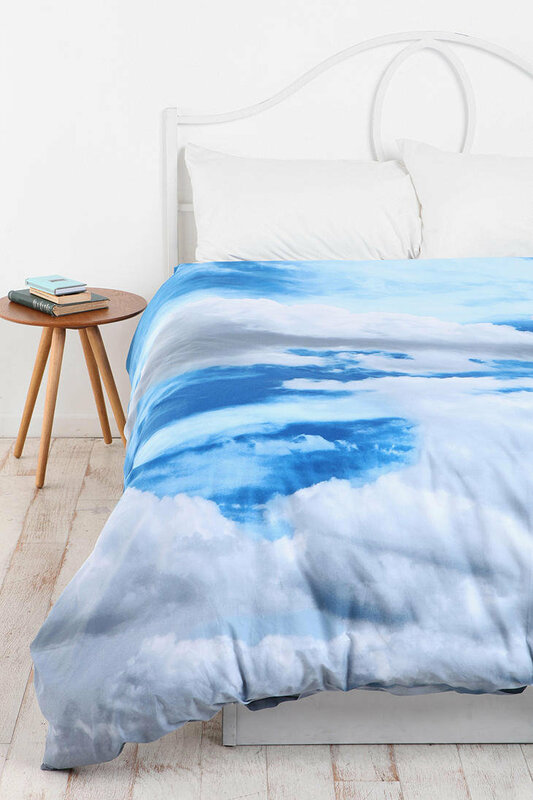 Buoyantly cloudy bedding is fantastic for a kid’s bedroom or a guest room, a great way to bring the dreamy sky down to earth. This one is not available right now, but if you can get a cloudy print fabric, (or a blue ombre), and take it to a tailor (or your sewing machine!) you can have a custom duvet in no time. 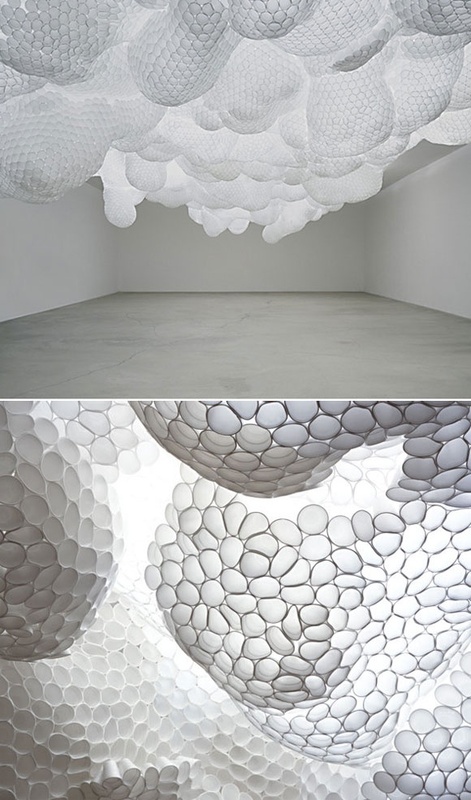 Some of my favorite art clouds are those made my the monumental genius Tara Donovan who used thousands of styrofoam cups (talk about upcycling) to create a ceiling of breathtaking, undulating clouds. 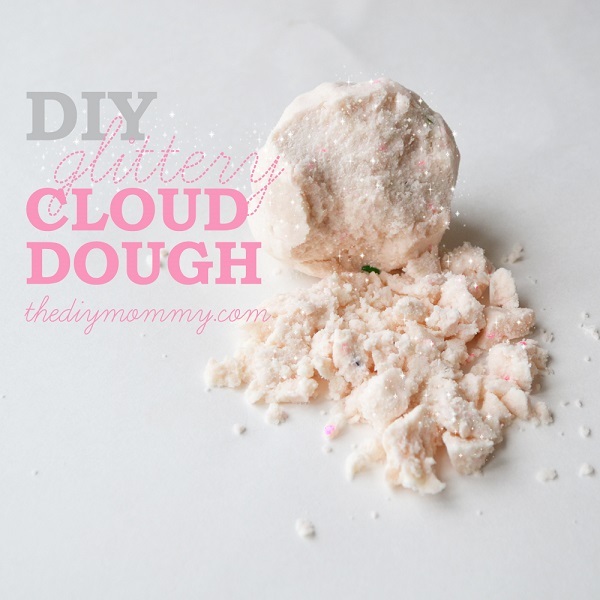 As it turns out, “cloud dough’ is a kid favorite. A mix of flour and oil that mashes and crumbles and smells divine depending on the mix, you can learn how to make an play with a handful of “cloud” matter right HERE! William Eggleston, the photographer of everyday life in searing ways, pointed his camera toward the sky for his latest series at Gagosian in Beverly Hills. 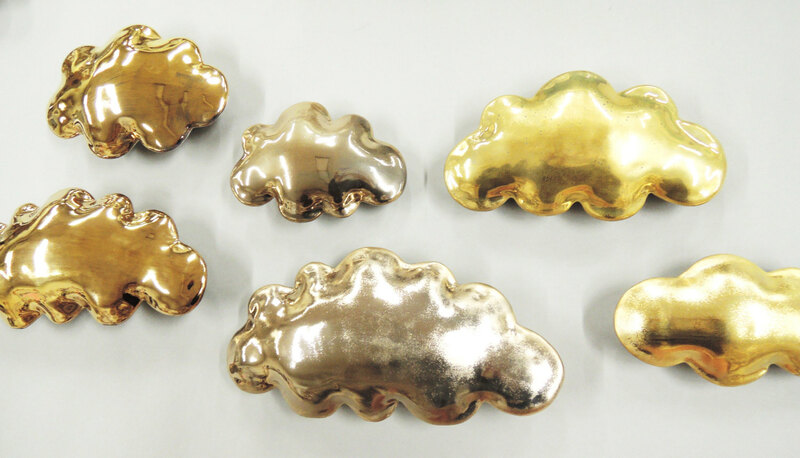 These golden metallic cloud pillow wall sculptures are a glittery special treat in a wall installation. I would love to see them in a giant, loosening spiral…! 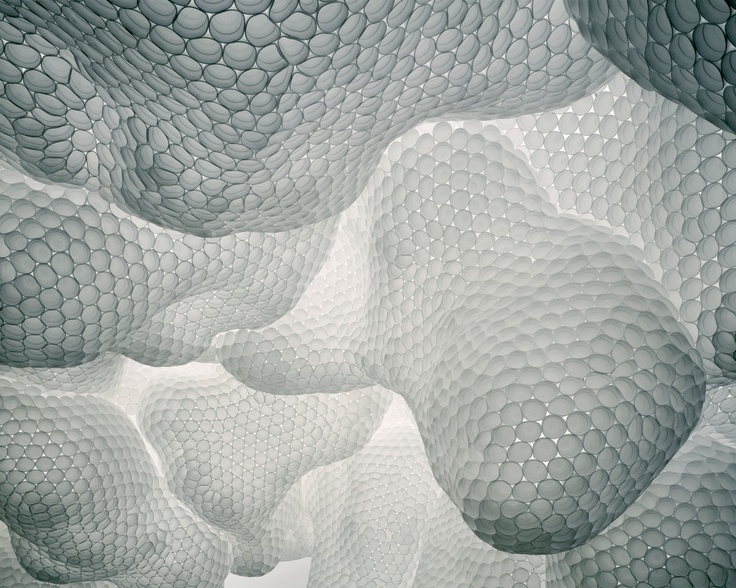 And to save my best for last, perhaps the reason I have clouds on my mind on a clear day, are the dreamy cloud pants that Tara Stiles designed for her line with Reebok. (hope you don’t mind that I used your pic Tara, I just can’t get enough of these!!!) 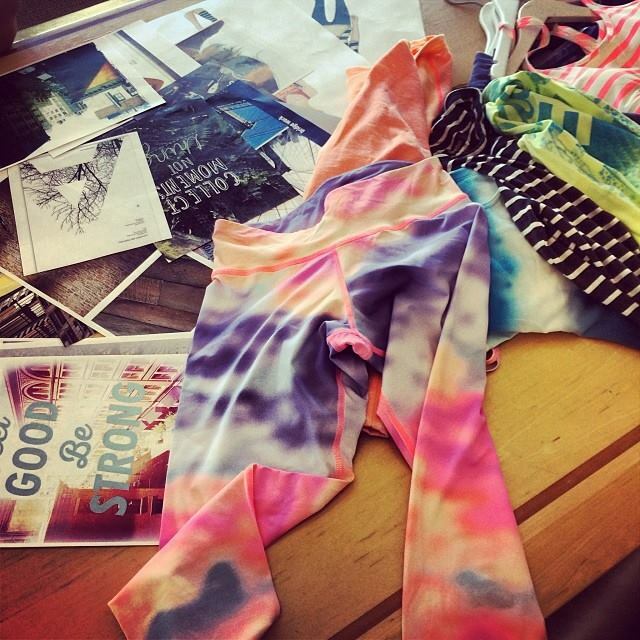 Ordering mine now, here, to inspire my rolling out of my yoga mat more often in 2014! Where is the first image of clouds from? Its beautiful! Previous post: 50 Things Money Can’t Buy! Next post: You Are Your Own Best Diet & Nutrition Guru!